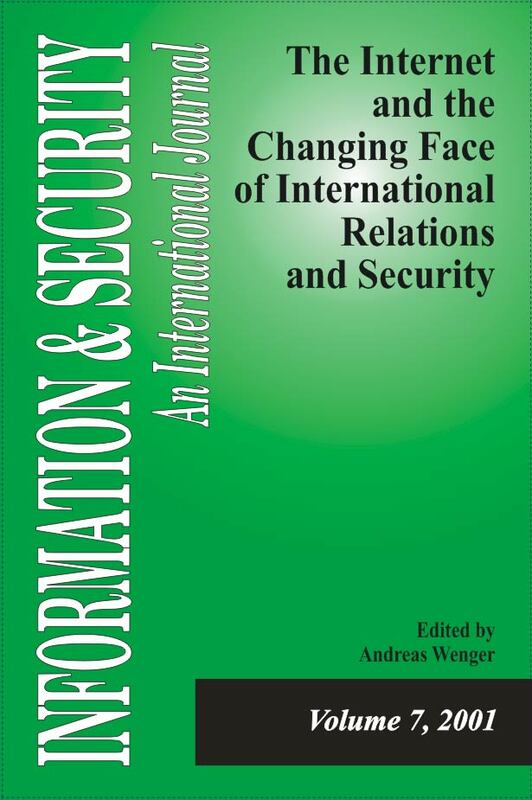 The articles in this volume deal with topics such as the growth of soft power and the challenges of global governance, the new security challenges in the information age, the power and limitations of virtual diplomacy, the human mind as a battlefield in an emerging global information environment, the cyberspace dimension in armed conflict, and the way civilians and the military in China use the Internet. Wenger, Andreas. "The Internet and the Changing Face of International Relations and Security." Information & Security: An International Journal 7 (2000): 5-11. Zinnbauer, Dieter. "Internet, Civil Society and Global Governance: The Neglected Political Dimension of the Digital Divide." Information & Security: An International Journal 7 (2001): 45-64. Rathmell, Andrew. "Controlling Computer Network Operations." Information & Security: An International Journal 7 (2001): 121-144. Thomas, Timothy. "The Internet in China: Civilian and Military Uses." Information & Security: An International Journal 7 (2001): 159-173. Monitor, ISIJ. "Center for Security Studies and Conflict Research." Information & Security: An International Journal 7 (2000): 177-188.